Many challenges present themselves to private investigators daily but some are part of the job and some are an outcome of the current economic and professional atmosphere. Emerging obstacles like limited resources and the existence of large national firms are making it more difficult for private investigators to complete their jobs thoroughly and creating expectations for clients that are unrealistic. Below is a list of some of the greater threats private investigators are dealing with today. 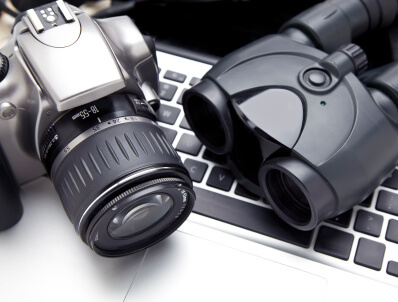 Are private investigators in your area facing challenges? Share your opinion by completing the poll at the end of the article. Large investigation firms are popping up in states with no license requirement and offering their services to individuals across the country. This practice can create an environment where clients are not getting the best services, and it is causing many local investigators to lose work. Government regulations that affect investigators, such as audio and video surveillance laws, have a large effect on how investigators work. Some investigators believe stricture regulations and laws prevent them from conducting investigations efficiently and completing their jobs properly and quickly. Television series and movies about investigations have created standards that are literally impossible to meet. Many investigators have shared that clients have unrealistic expectations based off of fictional storylines and equipment that does not exist. The existing economic conditions are hard on everyone. Some clients may expect that private investigators can do their jobs using less resources and money and come up with the same results. Additionally, many private investigators are having difficulty finding regular work and are losing jobs to larger firms that can offer low-cost services. While some private investigators would prefer to be called a profession rather than an industry, others believe private investigation falls under both industry and profession. For more on what private investigators are saying, visit the Investigator Marketing group on LinkedIn. Answer our poll to share what you think is the biggest challenge private investigators are currently facing. With an ever-growing set of threats creeping up on private investigators, it is important that each individual investigator stays in the know about their profession and the challenges it faces in order to better themselves and their industry.